Artificial Intelligence and Machine Learning have been predicted to be the game-changers of the coming decade. From Chatbots to automated customer support process to custom-built AI solutions, AI gives a whole new perspective on how businesses operate today and will operate in the future. Apple’s Siri, Microsoft’s Cortana and Google’s Allo, AI has found its way behind every innovative digital product introduced in to the market today. The recent triumph of Google’s AI machine ‘Deep Mind’ over a human in one of the complex board games of ‘Go’ took the tech world into a surprise. This triumph of machine learning over the human intelligence sets apart more faith in the upcoming revolution in the AI world. As the relationship between humans and machines becomes more collaborative, and as machines gain intelligence to perform human tasks and routine activities without step by step guidance, we can say Artificial Intelligence hold the power to change the way we do things currently. 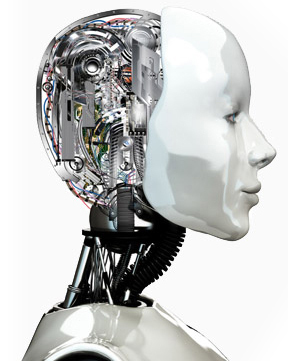 EGS offers innovative and effective artificial intelligence solutions to help our client’s business be agile & smart. We deliver cost effective services for natural language processing, text-to-speech, machine learning, knowledge virtualization, and more. We design and develop AI-powered mobile applications, AI-specific solutions, and intelligent data. 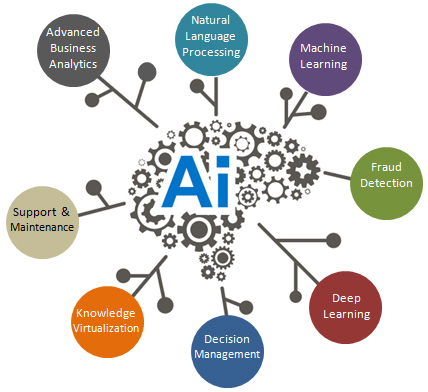 We are backed by an experienced team of professionals who have exceptional understanding and ability to incorporate artificial intelligence with cognitive technology to aid your current business applications and provide you with a full spectrum of services including Analytics, Big Data, IT technology and others. From large scale organizations to small, we deliver top-notch AI solutions and services that cater to various industries like, banking, financial, e-commerce, healthcare, telecommunication, etc. Many sectors have been growing significantly and contributing more to the economy. By adding the technology in these core sectors the result would be more positive. The sectors like infrastructure, financial services, technology, automotive and healthcare have been growing rapidly in the world. Banking: The implementation of the AI in the banking helped in the payment efforts and reduced complex process through simple chatbots conversation to continue the operations without any hassles. Some leading banks also use AI technology in the field of intelligent virtual assistant to improve customer services. Some financial institutions have been using AI to prevent fraud and monitor potential threats to customers in commerce. Healthcare: AI-based applications are useful in understanding medical data and reaching the right conclusion with minimal human input. These applications are applied in diagnosis processes, treatment protocol development, drug development, personalized medicine, and patient monitoring and care. E-Commerce: Companies are using the AI as chatbots, AI assistants, smart logistics, using algorithms to predict and analyze customers’ behaviors. The machine learning based applications are being implemented to augment the marketing strategy. Automation emerged as the key to effective warehouse operations and the technology helped many companies in achieving delivery efficiency. The ultimate aim is to reduce shipping costs. Machine learning helps companies in demand forecasting, product search ranking, product and deals recommendations, merchandising placements, fraud detection, translations and much more. Agriculture: The technologies like AI & IoT will be very useful in understanding a timely planting, getting predictions, using fertilizers, harvesting and the climate. Farmers need to adapt to the new technologies to implement and get the maximum output from their fields. Construction: AI could suggest the ideal design for buildings and recommend best safety features to make our lives more secure. The AI will also be useful in risk mitigation – it understands the complex language and useful in fixing the issues. Moreover, the technology will be useful in analyzing the work and the process of the construction industry. We make sure that your data is secure and ensure that all security checks are kept in place. We offer superior quality AI applications with rights reserved to the clients. You get agile, scalable and customized services. We identify your business and engineer custom solutions that help you in achieving your goals. We ensure high ROI and 24/7 support & maintenance. We use cutting-edge technologies for building a strong intelligence system for your organization.